David Frake is a Physiotherapist and owner/director of Balance Physiotherapy. Balance Physiotherapy is a neurological and orthopedic practice serving adults and children in clinic, community and home settings. Balance Physiotherapy employs the services of 12 physiotherapists and 3 massage therapists across two locations in the GTA. Balance is clinically affiliated with the University of Toronto. David’s educational background is in Science (physiology/kinesiology) (Waterloo) and Physiotherapy (Ottawa). He has taken numerous post-graduate clinical courses including Bobath normal movement studies and acupuncture (AFCI). Clinically, his expertise was developed at the ROHCG- Ottawa Rehabilitation Centre, TRI- The Lyndhurst Centre and several private orthopedic practices. His clinical experience includes work in Asia, Africa and the UK. He has an affiliation with the University of Toronto as a clinical facilitator. He is also a member of Canada’s National Triathlon Team both as a physiotherapist and athlete and competes nationally as an elite cyclist. David brings with him to the Alliance Board of Directors, a membership in the Canadian Physiotherapy Association, five years as a member of the Ottawa District Executive of the Ontario Physiotherapy Association (OPA), 3 years as a voting delegate at the OPA’s annual general meeting and a delegate to the first OPA Planning and Priorities Assembly. Maxine Fyffe-Roberts is a Registered Clinical Social Worker and founder of Essentially You Inc. She has over 25 years of Social Work, Senior Social Services Management, Case Management and business leadership experience. Maxine has worked across the spectrum of health care including the former Community Care Access Centre (CCAC), hospital rehabilitation, mental health and long term care settings. She holds a Masters Degree in Social Work, Bachelor of Science (Honours) Degree in Social Work and is also a Certified Social Work Practice Teacher. 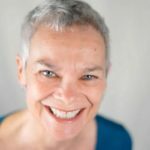 Based on her extensive management experience and knowledge of navigating health care and rehabilitation services in both Canada and England, Maxine founded Essentially You Inc in 2008. Essentially You Inc specializes in providing Attendant Care/Personal Support Worker services to clients and families throughout Ontario. This past year Maxine played an instrumental role in the ORA’s successful Attendant Care rate lobbying with FSCO. She very much welcomes the opportunity to support further advocacy on behalf of clients and for ORA members. Maxine is a marathon runner and is also involved in fund raising runs in support of brain injury community organizations. Timothy Lee is the Executive Director and owner of Qualicare Southwest Ontario Homecare, a team of care providers focused on providing the best Nursing and PSW care for the MVA sector. He provides guidance and insight to both clients and practitioners maneuvering within the guidelines. Timothy started Qualicare SW after personally experiencing the limits of healthcare, ongoing policy changes, and understanding the direct impact on clients and their families. Tracey Milner is co-founder of Complex Injury Rehab, focused on complex injuries and neurorehabilitation. 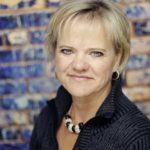 She is the co-creator of the tablet-based neurofunctional assessment, BrainFx 360, which is meeting its mission to measure and understand the effects of mild to moderate brain disorders on real world function sensitively and reliably across Canada and potentially in the United States. She is an Occupational Therapist with more than14 years in neurorehabilitation practice with adults and children. Over the course of her career, she has led rehabilitation teams as part of two national health organizations and presented at many brain injury and long term care conferences in Canada and the United States. She is an adjunct lecturer with The University of Toronto and on Faculty for the Health Coach Certificate at York University. Tracy was extensively involved responding to FSCO’s Expert Panel on Catastrophic Definition through the preparation of the ORA’s Panel of Experts Report of May 13, 2011, multiple presentations to government standing committee, and through the Ontario Society of Occupational Therapists’ stakeholder submissions with more than 10 years in its auto sector committee, where she was co-author on the reflective practice resource on the assessment of attendant care. 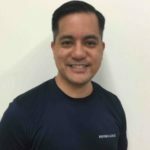 Joel Villanueva is a Physiotherapist and a co-owner/director of clinic services at Physio-Logic Rehabilitation Services. Physio-Logic is a rehabilitation clinic that provides neurological and orthopedic services in the clinic, community and home settings. Physio-Logic provides Physiotherapy, Naturopathic Medicine, and Pilates. 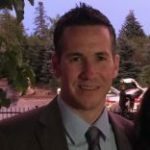 Joel received his Master’s in Physical Therapy from Quinnipiac University in Connecticut. Upon graduation, Joel practiced in the renowned Texas Medical Center in Houston for 6 years. He worked in the inpatient rehabilitation and acute care settings, with a focus on traumatic brain injury and post stroke rehabilitation. Joel then moved to Chicago, Illinois, where he worked for three years in the inpatient and outpatient rehabilitation settings, acute care, and skilled nursing facilities. In 2010, Joel moved to Toronto to follow his future wife. Since moving to Toronto, Joel has been working at Physio-Logic and became a co-owner and director in 2012. Carl Dalton is the Vice President of Dalton Associates Psychological Services, a large group mental health practice that serves the province of Ontario. 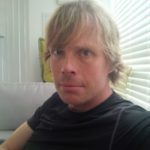 Carl holds a Masters of Social Work Degree and is a Registered Social Worker with the Ontario College of Social Workers and Social Service Workers. Carl brings 15 years of clinical and business leadership experience in education, mental health and addiction fields. Throughout his career, Carl has learned that the key to providing comprehensive services for a community’s or organisation’s complex needs is through collective interventions that emphasize quality services, clear outcomes/goals, communication, and mutual respect. 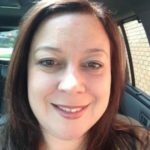 Shelley Gardiner has been a registered Speech-Language Pathologist for 27 years and has worked in a variety of healthcare settings including a small town hospital, big city hospital and a children’s treatment centre. 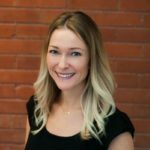 Currently she is an active member of the Ontario Association of Speech Language Pathologists and Audiologists (OSLA) MVA and ABI professional interest groups. Through OSLA she helped organize the Mark Ylvisaker Honorary Lecture Series which brought a number of highly respected speakers such as Lyn Turkstra, Roberta DePompei and Tim Feeney to the Toronto area. As well, she was instrumental in the development of the GOS-E CCD Guidelines. Through the ORA, she is actively participates on a number of our committees. For the past 18 years she has operated her own private practice. As a sole provider in private practice she understands the challenges that comes from trying to run your own business and provide good clinical care; particularly in the ever changing world of MVA. Rick Hadleycrane is the Director of Business Development and Manager at Lawlor Therapy Support Services Inc. Lawlor provides RSW services as well as specialized programs such as technology training and recreational therapy to individuals with an ABI. 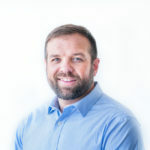 Working with the company for the past 14 years, Rick has experienced growth within the company from developing client programs, staff supervision, and most recently creating the technology training program. Rick originates from Nova Scotia where he attended University, achieving his B.A. (Hons) in Political Science and History, as well as his C.P.A. Prior to relocating, Rick worked for several Social Service programs including: The Society for Treatment of Autism, Children’s Aid Society, and Mi’Kmaq Family Services. Laurie Davis has been Executive Director of the ORA since November 2013. She is a founding ORA Board member and was Executive Director of Therapacc Inc., a multi-service therapy company, from 2001 to 2012. She also served for a dozen years on the Board of Governors of Ross Memorial Hospital in Lindsay where she was Chair for several terms. In addition to her role as Executive Director of the Ontario Rehab Alliance she takes on occasional consulting projects and is an occasionally published freelance writer. She lives in Peterborough. Candice Thornton’s sage advice is sought when members have questions that Laurie is not able or available to answer. She is the Manager of Administrative and Rehabilitation Services, and Special Projects for Dalton Associates. Candice is a Regulated Health Professional (RMT) and is well versed in healthcare legislation, privacy law, and the SABS. We are very grateful to ORA member Dalton Associates for once again making Candice available to our members and for their generous financial subsidy that helps make this vital member service possible. Heather McElroy has been with the ORA since April 2017. 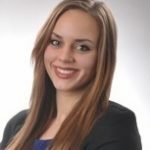 She works in tandem as an community relations assistant for ORA member Qualicare Family HomeCare. She recently earned her Bachelor of Science with honours from the University of Waterloo. She majored in Public Health and earned a minor in Psychology. She is applying to a Master’s of Occupational Therapy this Winter.